"...harmony being the strength and support of all institutions – especially this." From this practice, the name “Dutch Club” was adopted. Of course, only the Masons sang for degree work, under the direction of Hurlburt. 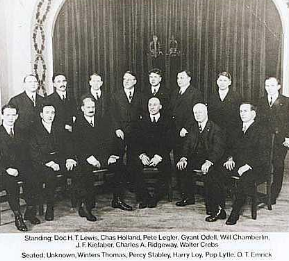 Thus, there were two groups – the Dutch Club for public performances, consisting of Masons and non-Masons, directed by “Pop” Lytle, and the Scottish Rite Choir, directed by Ill. Bro. Hurlburt, for Masonic activities. In those days the size of the Choir was highly restricted. During degree work, the Choir sat in the far right vestibule behind the organ console. An interesting side note is that in the early 1920s, four women sang with the Choir, during degree work. They were seated behind a curtain. They could not see the work, but could hear the dialogue. 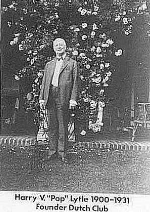 In 1931, Ill. Gordon Battelle, 33⁰, became Director of the Dutch Club and when Hurlburt retired as Director in 1931, Battelle became Director of both the Dutch Club and the Scottish Rite Choir; he held this position for 37 years. 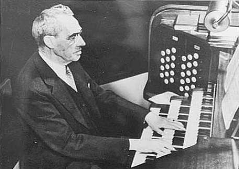 Hurlburt remained as Organist until he retired in 1939, after 58 years of Masonic musical service. Ill. Frank Michael, 33⁰, then became Organist, serving for 50 years. The success and visibility of the Dutch Club spilled over into the Scottish Rite Choir. But the Choir’s size limitation, due to the area behind the organ console, made competition for acceptance into the Scottish Rite Choir intense. Battelle ran a tight ship in those days, holding auditions, and voting was required for admission to the Choir. Attendance was taken at rehearsals and performances, and backsliders were admonished with brotherly love. These seemingly rigid measures were deemed necessary since there was always a waiting list to join. Rite Choir down from behind the organ console, to the present day seating location during the reunion. Organist Ill. Frank Michael, 33⁰ also retired in 1989 after 49 years and Bro. Jerry Collins took over as Organist, but served only 5 years due to failing health. Ill. Stanley (Doc) Garber, 33⁰ assumed the keyboard in 1994 and serves in that capacity today. 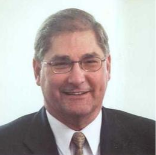 In 2003, Ill. Jay Michael (Mike) Carnal replaced Ill. Bro. Shand as Director of the Scottish Rite Choir. Today, we all enjoy the inspiring music that contributes to our wonderful degree work, especially when Doc pulls out all the stops on that massive organ and engages that 35-foot long bass pipe. The colored cords you the Choir wear with our robes were the thoughtful and generous gift of Ill. Thomas H. Routsong, 33⁰, to commemorate the 100th anniversary of the Scottish Rite Choir. Each color commemorates the number of years of Choir service: White, 0-5 years; Blue, 6-10 years; Red, 11-20 years; Gold, 30+ years. The commitment of these men is noteworthy. In 128 years, the Valley of Dayton has had only 4 Organists and 5 Choir Directors. But what is truly exceptional is the loyalty and commitment of hundreds of men who understand the role of harmony in our Masonic degree work, in our Society, and in our lives. The dedication of these men illustrates the principles that make the Valley of Dayton such a remarkable group. Like Freemasonry, we have members from all walks of life. Many of us have had formal music training, but others have not. We have church soloists, and choir members, former music teachers and directors, and fellows who just like to sing. Our soloists have very fine voices; you have heard Bros. Stan Brookins, Ted Murphy, and Dan Frye. Recently, some vacant chairs have resulted from death, illness, and advancing age. We know there are many men in Masonry who are active in music in their church choirs or other musical fields. There are also some who might never have had the opportunity, but have always wanted to give singing a try. You can help us. You will find us to be a close fraternity, and giving by nature, dedicated to the high ideals of Freemasonry. It is a wonderful opportunity to enjoy fellowship in music as well as socially. Please accept our invitation to join this marvelous, dedicated, and generous group of Masons. There are no petitions and no auditions. Come join us for some Masonic and musical harmony. We practice most Tuesdays, during the “Reunion season”, from 5:30 to 7:00 P.M. Stop by the Choir Room between degrees– 2nd floor, in the northeast corner. Ken, can you tell me when the choir will be rehearsing for the November reunion (11/4 & 11/11)? Thanks!